FinTech marketing faces a unique set of challenges that simply don’t apply – or at least don’t apply to the same extent – to most other industries. The problem centres around the fact that the FinTech sector is still in its relative infancy, and it’s up against what is arguably the most mature, firmly established, wealthy and powerful industry in the world – mainstream banking. Everyone has a bank account – and they’ve probably still got one that their parents first opened for them while they were at school. 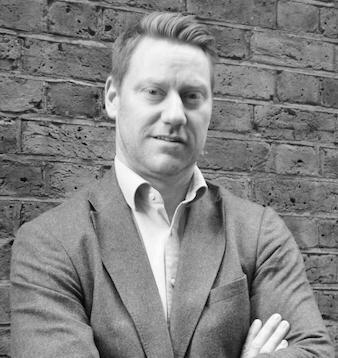 Challenging the status quo is never easy, and even if you have a solution that doesn’t ask users to give up on their high street bank altogether, FinTech startups are still faced with the challenge of lacking the big brand recognition and trust that most established financial institutions enjoy. Nonetheless, this trust has been shaken in recent years. The financial crisis that swept across the globe between 2007 and 2009 affected practically every person on the planet in one way or another, and there can hardly be a person among us who hasn’t blurted out some vinegary comments in the general direction of the banking sector that caused the mess since that time. In many ways, it was the catastrophe itself that created the demand for an alternative – and it just so happened to coincide with the rapid rise of the internet. And so, the FinTech sector was born, and has since been on a mission to convince businesses and individuals of the merits of digital, alternative finance solutions. In FinTech’s favour, startups have been inherently more nimble than banks in the digital services they are able to offer. 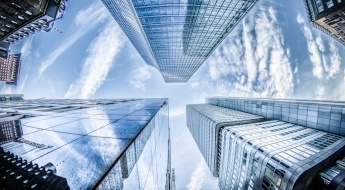 Banks, for a long time, were held back by legacy systems from which they are only now managing to free themselves through various digital transformation initiatives. 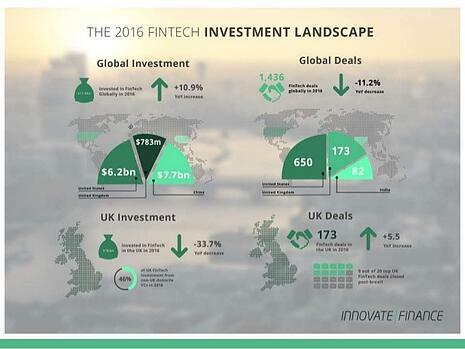 And in the time this has taken to happen, the FinTech sector has managed to grow and grow and grow. 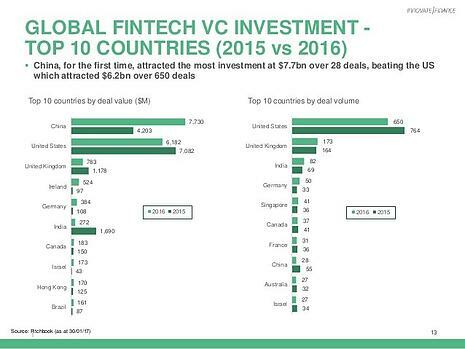 According to data provided by PitchBook, global venture investment in FinTech grew by 10.9% to $17.4 billion in 2016, represented by 1,436 deals. Clearly, then, there is plenty of money and plenty of belief in this new sector. In the UK, although deal volume went up 5.5% in 2016, the total value went down by 33.7% to $783 million. This is largely attributed to the uncertainty surrounding Brexit. Nonetheless, even though the country is perhaps going through a wobbly period, the UK still managed to maintain its third-place ranking behind China and the US, retaining its status as being the FinTech hotbed of Europe. Even with millions and billions of dollars (or pounds if you prefer) being ploughed into FinTech startups around the globe, the fact is that it’s still no match for the financial clout, the experience, resources and brand recognition that traditional, established players have in almost dwarfing abundance. As such, founders and investors must recognise the critical FinTech marketing challenges the industry faces. So let’s take a look at what they are, and consider the inbound marketing practices that can be utilised to overcome them. Building trust is important for any fledgling business, though particularly so for those in the FinTech sector. Convincing new audiences to trust your new, unfamiliar concept with their hard-earned money requires a FinTech marketing initiative that puts education at its core. Even though recent generations are less trusting of traditional financial institutions than they once were – just 8% of millennials trust their banks, according to a 2016 Facebook study – this doesn’t mean that they will be any more trusting of any new players that enter the financial fray. But it does give FinTech an inbound marketing advantage. Like millennials, inbound marketing was born into the digital age – and so too, of course, was FinTech. This means that this audience is digitally-savvy, social media-literate, and actively engaged with online-everything from paying bills to Google search. Successful FinTech marketing will involve strategically deploying well-researched educational content that proves that your FinTech solution is trustworthy. 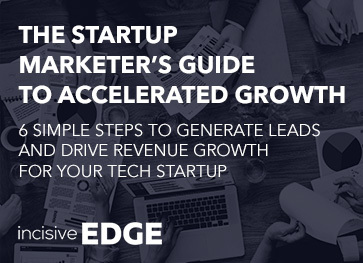 You need to be creating inbound marketing materials that explain simply yet convincingly that your product is beneficial, smart, secure and robust. Even more, you need to be convincing your audience that you represent financial expertise, and that you are on your customers’ side. Inbound marketing is perfect for this purpose. To give you an example, long before the launch of the now hugely successful Mint personal finance app, the company realised that in order to attract its target audience of young, digitally-savvy, busy professionals, it needed to find a way to engage with them online. And so it invested in MintLife – a personal finance resource blog that regularly publishes reams and reams of free content giving young people invaluable advice about investments and finance. 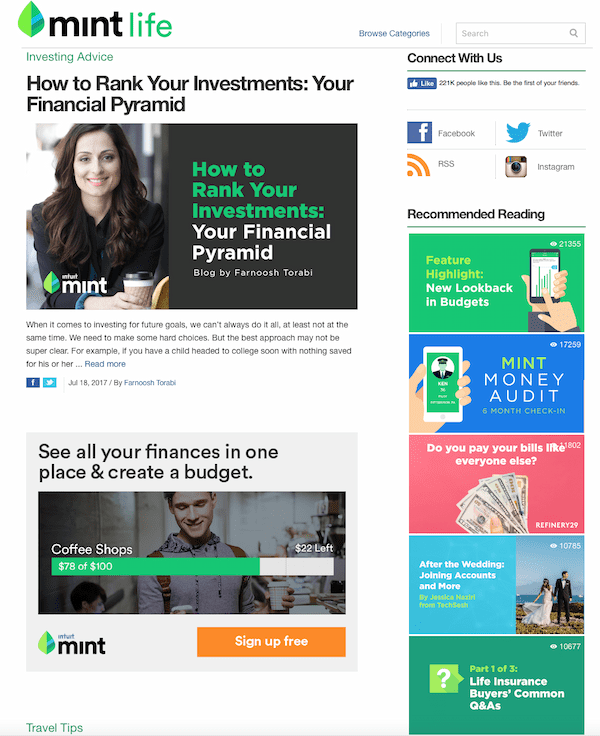 As you can see from the above screenshot, the MintLife blog is jam-packed with useful, relevant, targeted content, and a truly great resource for a younger generation that wants to gain better control over its finances. In addition, the company also regularly invites finance and technology experts to guest post on MintLife, serving to build further trust and credibility with its target audience. The blog achieved 20,000 subscribers before the app had even launched, giving the company a ready-and-waiting lead base which it could subsequently and easily convert into customers. 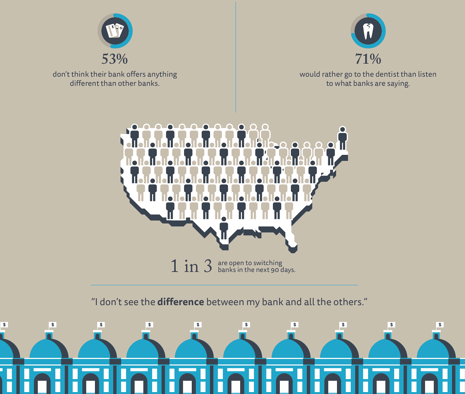 Established financial institutions have a massive headstart when it comes to brand recognition. A fledgling FinTech startup, on the other hand, is largely unknown. So you need to put your brand out there – with confidence. Even though established players enjoy brand recognition, they have lost the trust of the people. The Millennial Disruption Index tells us that 71% of millennials would rather go to the dentist than listen to what the banks are saying. What’s more, they also don’t see much difference between the mainstream players on offer – and this gives FinTech startups the opportunity they need to make a splash and differentiate themselves meaningfully from the established competition. Many success stories come from FinTech marketing initiatives that brand the startup against the shortcomings of the big players. It’s the “Us against Them” approach – and it works. One great example comes from payments startup WePay. In 2010, it pulled off a marketing stunt against established payments giant PayPal, which was caught up in a scandal over freezing its customers’ accounts. 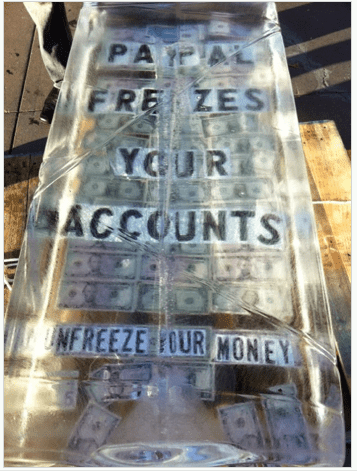 WePay dropped a 600lb block of ice with frozen money encased inside right outside a PayPal conference in San Francisco. The stunt went viral, and directed consumers towards the WePay landing page UnfreezeYourMoney.com (now defunct). This takes things to the extreme, of course. But it’s safe to say that WePay earnt its brand recognition with this FinTech marketing stunt, multiplying its conversion rate by 3, with a 300% spike in weekly traffic and a 225% increase in signups. What viral strategy would work for your FinTech startup? Big banks pretty much have a bottomless pit of money – after all, they’re too big to fail, right? This means that they can afford all sorts of marketing initiatives, from TV commercials to billboards to big ad spends online. Startups, by contrast, have to keep a closer eye on what they’re spending. However, when it comes to inbound marketing, you don’t need oodles and oodles of dollar to make an impact – you just need a solid marketing strategy that ensures your messages are put in front of the right people at the right time. Although traditional players might have the budget, the fact that they are traditional has meant that they have been slow to catch up with how modern consumers like to engage online. Indeed, a survey by the Carlisle & Gallagher Consulting Group found that an embarrassing 87% of consumers found banks’ use of social media to be annoying, boring and unhelpful. So be the opposite. Social media engagement costs nothing except your time. And the creation of great, shareable, inbound marketing content is so much cheaper than paying for expensive outbound marketing ads. 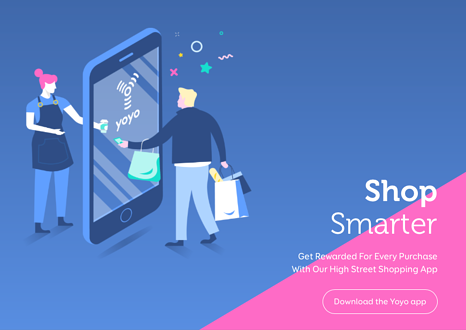 Yoyo Wallet, for example, a mobile payments app for students at university, found great success concentrating much of its FinTech marketing spend on case studies, educating prospects on the benefits of its solution by showing them the successes existing users enjoy. It’s a simple idea, but one that gets right to the core of what great inbound marketing is all about – education. New financial services can be confusing and intimidating for new customers – the best way to overcome this is through providing them with free education to allay their fears and inspire their trust. FinTech marketing faces a number of unique challenges. As a new sector, players lack the immediate brand recognition enjoyed by established financial institutions – but this can work to your advantage. You don’t have to spend big bucks to stand out on social media, and if you concentrate on building trust with your audience, educating them, and branding yourself against the shortcomings of the mainstream financial industry, your FinTech marketing efforts will start to pay off quickly. 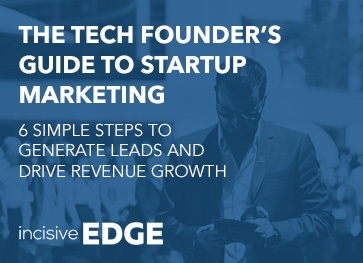 If you need help with your FinTech marketing strategy, then please don’t hesitate to get in touch with the inbound marketing experts here at Incisive Edge today. 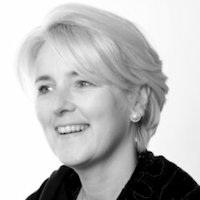 And don't forget to book your free marketing consultation - just fill in your details on the sidebar. A mini or full consultation is available.